Wholesale Beverage Distributor, carrying Pepsi products, Juice, Energy Drinks, Beer, and Wine. Owned and Operated by Licensed and Insured local Contractors, Beau Lufborough and Jesse Venn, providing full-service expertise. Both Beau and Jesse have college degrees in Building Technology, with over 22 years of combined construction experience. 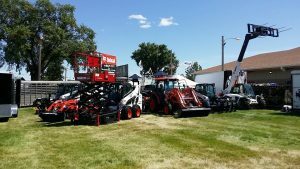 Bobcat of Miles City is an authorized sales, service, parts and rental provider for Bobcat, representing the NUMBER 1 brand of skid-steer loaders in the world. 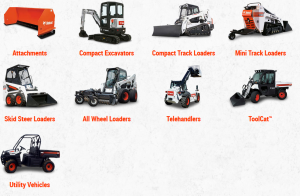 We offer a full product-line including skid-steers, all-wheel skid-steers, mini and compact track loaders, compact excavators, utility vehicles, utility work machines and numerous attachments. 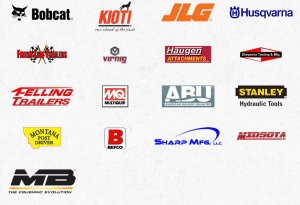 Bobcat of Miles City is a fully authorized dealer for Bobcat, JLG, Kioti, Husqvarna, and Finish Line Trailers. We are committed to providing excellent customer service, measured by our customer’s satisfaction!! 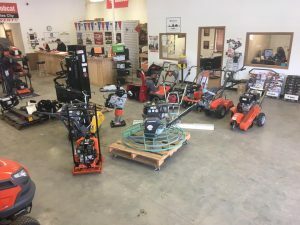 We appreciate the opportunity to earn your business by maintaining your current equipment, assisting you with purchases of new and quality used equipment. Offering structural steel products, steel fabrication, and recycling. We also buy hides from hunters, ranchers, and meat processors. Border Steel and Recycling buys your scrap metals and then recycles them, conserving energy and reducing the need for new mined metals. Check out our Steel Recycling and Aluminum Recycling pages to see what a difference you can make when you recycle your metals. 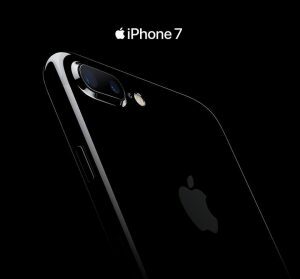 Full line of office products, including computers, printers, office equipment, office furniture, sales and service. Looking for something unique or original? Our team of in-house designers and craftsmen are ready to make your vision a reality. Equal parts strength and beauty, Bridger Steel offers a unique solution to your next Residential, Commercial, Agriculture, or Interior project. With a wide variety of colors and finishes and our own in-house Design Center, see how Bridger Steel creates lasting beauty. 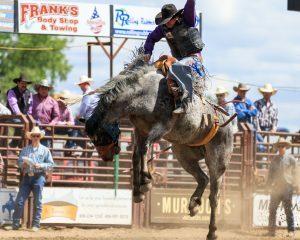 Buck Naked Rodeo are Stock Contractors, providing the bucking stock for rodeos and other events. 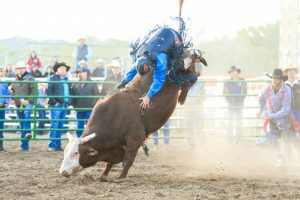 We currently have Winter Series of Rodeos, held in the MCC Ag Advancement Center in Miles City. 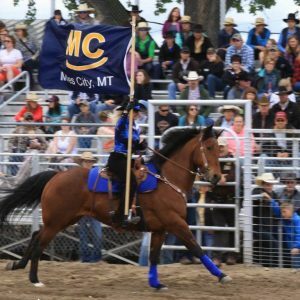 We’re attracting contestants from all over Montana, and are able to offer great prizes! 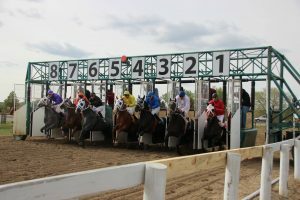 Wild Pony Races $60All events enter during entry time! 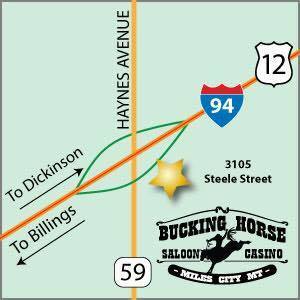 Providing Shuttle Service in Miles City! 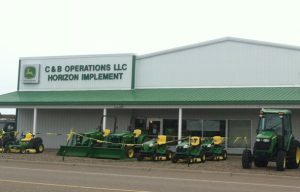 Miles City location – 819 Washington St.
Builders FirstSource can provide installation for many products we sell. We have close relationships with skilled subcontractors. By combining installation services with high-quality products and project management, we can provide you with a high-quality turn-key product that is on-time and on-budget. The Miles City Field Office manages more than 2.7 million surface acres of public land and over 12.4 million acres of subsurface mineral estate in eastern Montana. 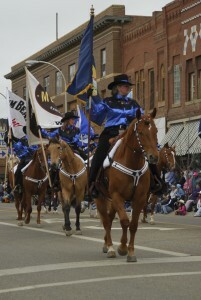 This area of responsibility includes 16 counties in eastern Montana. 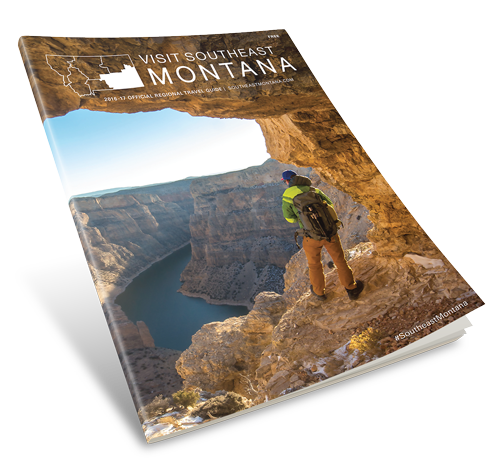 Eastern Montana hosts a wide variety of recreation opportunities including; hunting, fishing, hiking, rafting, bird watching, rock collecting, mountain biking and frontier-era historical sites. 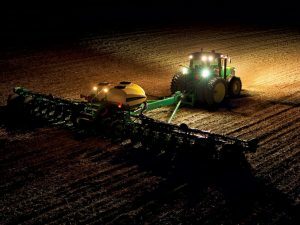 Multiple-uses incorporate mineral extraction, grazing and timber management, which augment local economies in this ecologically and geologically diverse region of the northern plains. This area’s fossil resources are world famous for well-known dinosaurs such as Tyrannosaurus Rex, Triceratops and Hadrosaur—made famous by Hollywood and the media. Each year, these world-class specimens attract field excavation crews from federally-recognized fossil repositories, museums and institutions from across the U.S.
M-F 7:45 a.m.- 4:30 p.m. Check out our new Rockin’ MC T-Shirt Shop? 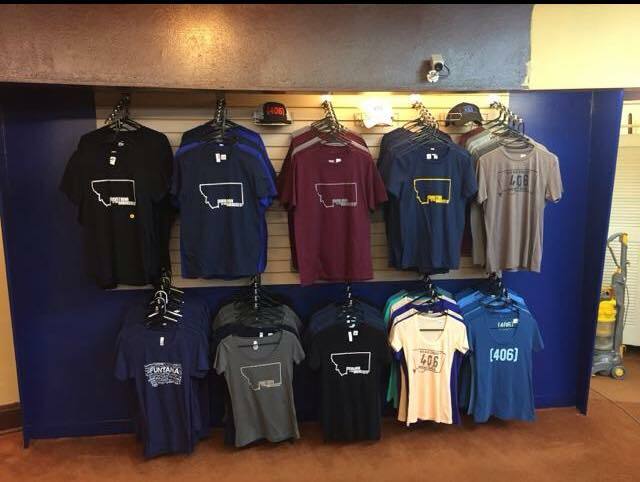 Get your Spring Sports gear here in the Loft at our store at 818 Main Street in Miles City – We can personalize it for you for $5. 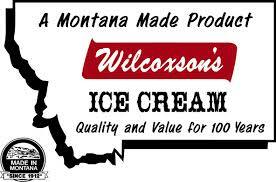 For 100 years, Wilcoxson’s has been making ice cream with the best local ingredients. 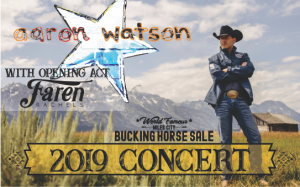 Located in Livingston, Montana, Wilcoxson’s produces ice cream for local eateries and grocery stores throughout most of Montana and parts of northwestern Wyoming, including Yellowstone National Park. We welcome you to our website and invite you to look around. 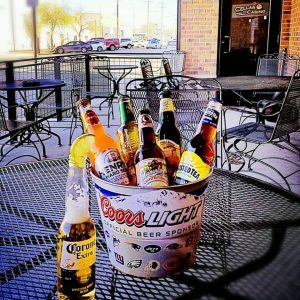 We’ve searched the Treasure State to find the finest selection of gourmet foods, unique artwork and fantastic gift ideas. 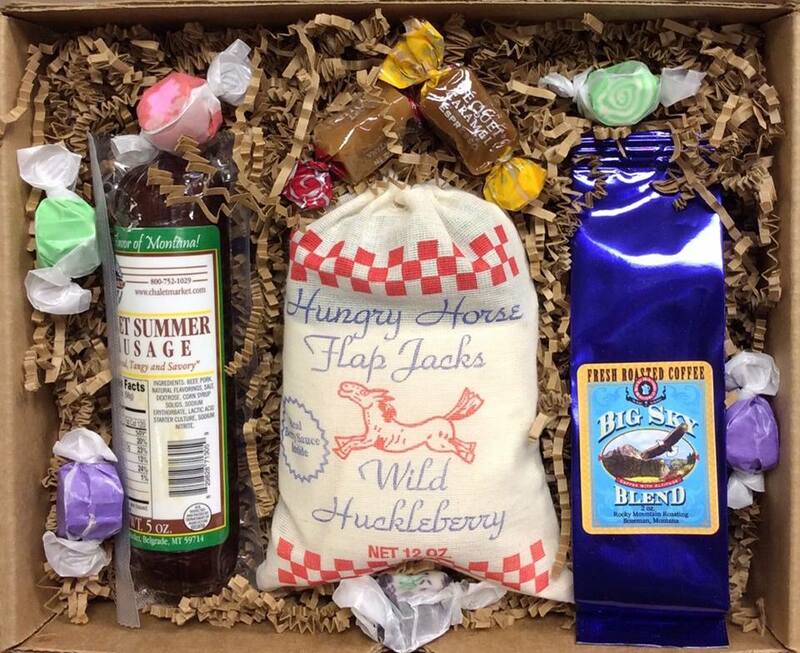 We look forward to sharing a taste of Montana with you! 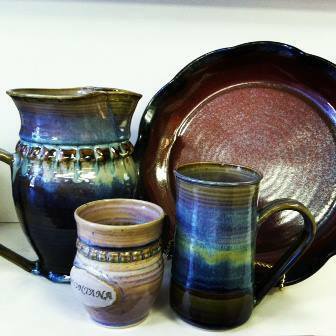 We take pride in offering our customers premium quality, Montana-created products. 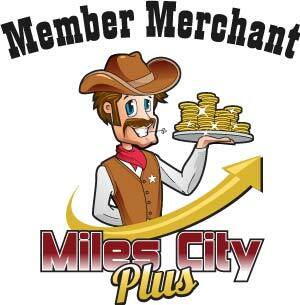 And when we are fortunate enough to serve our customers in our spacious retail location in Miles City, we offer that premium quality with a genuine Montana smile. Whether we get to meet you personally, or serve you in a faraway place, we look forward to providing you with a uniquely personal shopping experience. Please do stop by, visit our website or give us a call anytime! Call our Toll Free Order Line: 866-MT-FOODS for personal assistance in creating your own flavorful gifts and souvenirs. 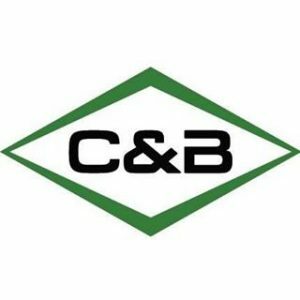 C & B Operations, LLC owns and operates thirty-seven John Deere farm equipment dealerships in six states along with a diesel engine pump repair business. 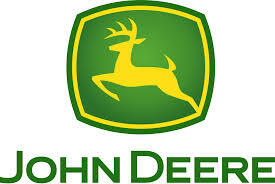 Each location provides quality sales, parts and service to meet all our customer’s needs. Building new or repairing your old fence. You will love the Cat’s Claw Fasteners! Finally, the invention you’ve been waiting for! Cat’s Claw Fasteners is a Montana Concept based company. It all started when I was having to go out and repair fences. Trying to get the old barb wire staple started holding it in place at the same time holding onto the barb wire in itself was a magicians task. My mind began to think there has to be an easier way! 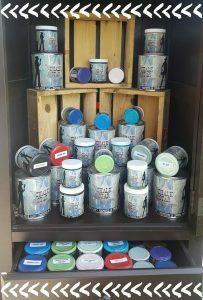 Our own line of Chalk Paint, called Chalk Star! You can see some of our furniture items, and purchase our Chalk Paint, at Vintage & Rustics in Montana at 813 Main St.
Denis Leidholt did more than rebuild his casino in the aftermath of a fire that destroyed three buildings on Miles City’s Main Street in 2009. He raised up a building that captures the history of Miles City, in more ways than one. The building itself was designed to fit in with the old brick structures on Main Street — right down to what looks like a bricked-over window on the east side of the casino, but which was intentionally created to give the building an antique feel. Leidholt also salvaged cast-iron columns from the original building and used them throughout the establishment, and he used salvaged bricks to decorate the front bar. The big steel door from a walk-in safe, which was the only thing standing in the middle of the bar after the fire, is set into one of the walls, now strictly for ornament. Along the top of the walls in the casino room itself, Leidholt’s designer, Bruce Larsen of Billings, created a series of historical scenes from Miles City, Butte and other parts of the state, finely detailed silhouettes cut into black stainless steel. As the crowning touch, he brought a huge collection of ornamental Jim Beam whiskey bottles back to Miles City from Red Lodge, where it had been for 35 years. In specially made display cases lining the walls of the bar, the casino and the stairwell leading to the second floor, 650 of the brightly colored ornamental bottles are on display, grouped by theme — hunting, fishing, politics, automotive, states, cities, birds, trains and more. Leidholt, who owns the Cellar Casino with his brother, Duane, said they were just on the verge of having their final meeting on the building’s interior design when he heard that the Jim Beam collection was available. Pius Meier, the former owner of Natali’s Cafe and Lounge in Red Lodge, had called Leidholt’s architect, Jim Bos of A&E Architects in Billings, to tell him about the collection. A Miles City construction contractor originally had the Jim Beam bottles on display at the Olive Hotel there, a few blocks down Main Street from the Cellar Casino. Meier tried selling the bottles at a few Jim Beam collector conventions and later on eBay, but everyone wanted just one bottle or a few at most, and Meier wasn’t interested in piece-mealing the collection. A reluctant Leidholt went to Red Lodge with his wife, thinking there was no way, at that late date, of incorporating the bottles into his new casino. But all it took was one look. “We said, ‘These are too cool. We’ve got to do it,’” Leidholt said. The collection totals 1,174 bottles, including a small number of Lionstone whiskey bottles depicting historical figures from the American West. Leidholt said they cherry-picked the best of the entire collection and put the rest in storage. Larsen, owner of the Big Idea Co. in Billings, designed the metal brackets that hold the bottles inside the display cases. But the brackets had to be bent to cradle the bottles, no two of which have identical shapes. That meant it was a four-man job putting the 650 bottles on display: One person bent the brackets and another ferried each bracket and bottle to two other people who were on scaffolding to put each bottle in its place. The job took two solid weeks, complicated by trying to fit bottles by theme and in such a way that they looked good together. “It became like a giant jigsaw puzzle,” Leidholt said. Larsen designed the stainless-steel silhouettes, which he calls “scenery valances,” by using photographs to make computer images, which were converted to CAD files (for computer-aided design) by Shepherd Stainless Inc. The company then used fine lasers to create the steel silhouettes. 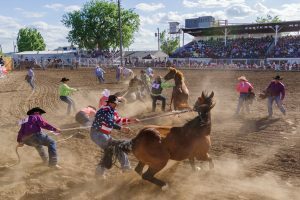 The valances include images of Denton Field in Miles City, the water tower, the original Cellar Casino building, cowboy scenes and even a representation of Mere Image, a 1970s rock band that was based in Miles City and toured regionally. It featured Leidholt on drums. 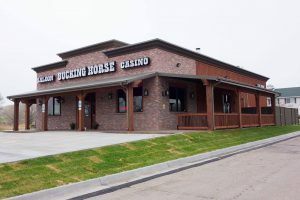 The rebuilt casino opened in June and Leidholt hopes to have the kitchen open soon. 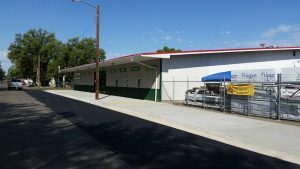 Leidholt had a lot of fun designing the new building, but mostly he is proud to have rebuilt at all in the wake of the devastating fire, which claimed three historic buildings and nine businesses on the 700 block of Main Street. Leidholt, a native of Miles City, said he and his brother didn’t want to walk away from Main Street. 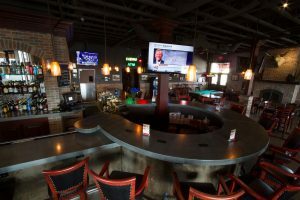 The Cellar is the place to be if you are looking for delicious appetizers | pizzas | burgers | sandwiches, a full bar loaded with specialty drinks, and a lively gaming atmosphere! 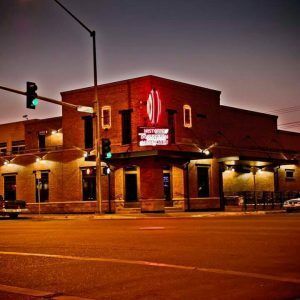 Get on down here and let our crazy fun bartenders and laid-back crowd show you a good time! Kitchen open daily from 10a – 2p and 4p – 10p. Bar and Casino open daily from 8a – 2a. 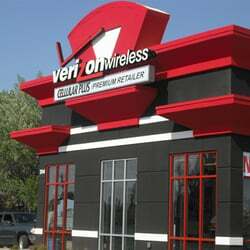 Cellular Plus is proud to offer Verizon Wireless products and services to our customers. 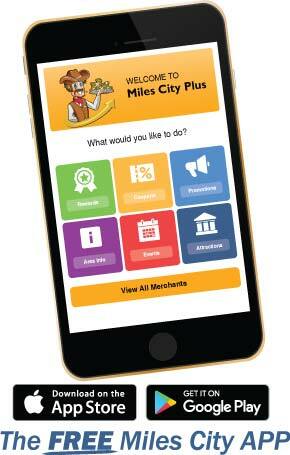 Our offerings have your communication needs covered from your home to your cellphone. 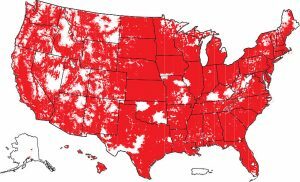 We offer wireless home phone, mobile broadband internet, wireless home internet, and cellular phone services. 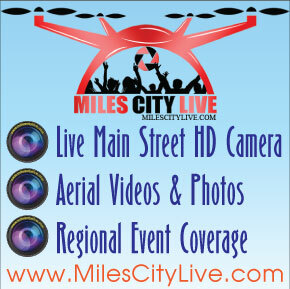 And of course, all of the latest devices and accessories to accompany these services.